Very haunted by many spirits. 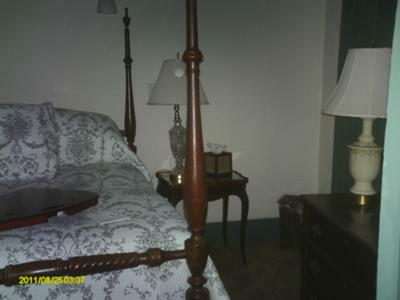 The Gracia room is haunted by the youngest girl of the garcia family. She is very nice and loves to play with things. She also likes to say hi. The other spirit is a spanish soldier. He likes to play pranks and yell orders. The last is Lilly, a servant who married a nephew of the garcia family. She is very shy and hardly does anything. I enjoyed this place. if you want more info, go to my website gaparanormal.webs.com. I was there with a dear friend of mine Arlene. You can feel the presence of spirits. I stood outside of Lillie's room. You can feel something. I was not scarred. I was thrilled.